Jim Henry traveled the Trail of Tears from GA to I.T. His family reported that Jim Henry was a hero in the Creek War of 1836. He changed his name from Jim Henry to James McHenry after he arrived in I.T and was converted by a Methodist missionary. He established the Broken Arrow Indian Methodist church at 141st just east of County Line Road as well as churches in Okmulgee, Muskogee and Coweta. Methodist history proclaims James McHenry as the "most picturesque preacher" of the Indian Mission Conference from 1855 until 1883. James McHenry was either a white man or half Indian, but grew up as a Creek. He joined the Confederate forces as a private, but was promoted to major. For the rest of his life he was known as Major McHenry. He went on to become an influential member of the Creek political and judicial system and died in 1883. His son Lewis McHenry followed in his father's ministerial footsteps and was a prominent Indian Methodist preacher in this area. 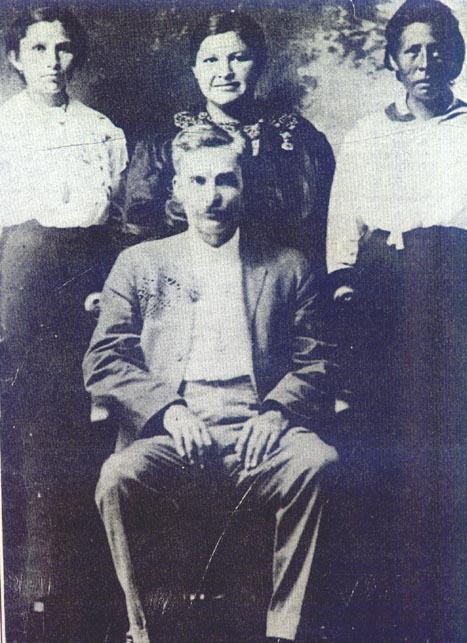 In the conference year of 1908, a newspaper article reported that Lewis McHenry had the entire Creek nation for his charge. Lewis McHenry married first Cille Tiger and after her death married Ida Kelly. Lewis died in 1916.